Utah has the best donuts of all time. If you live in Utah and have never had a square donut you need to go get one ASAP. Lehi Bakery on main street, right in front of the Lehi Legacy center. When I was in elementary school, on my birthday, my Dad would drive me to school. On the way we would pick up a few dozen donuts for my class. Last time I was in Utah I think Lehi bakery was on of the first places I went to. I would take a vacation back to Utah just for the food. Now it goes without saying that down here in The South we have some pretty damn good food too. I think I have found some pretty good square donut replacements. They are not square but man are they tasty. 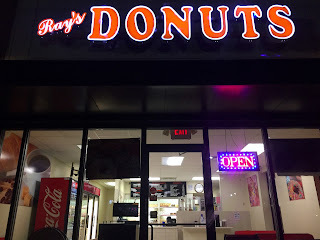 Ray's Donuts in Marietta Georgia is amazing. The first time I stopped by it was 9-10am on a Saturday morning. They were completely sold out. There a few people complaining about this in a couple reviews, but it just motivated me to get their donuts in my mouth. They are open 5am-3pm every day. Occasionally Heather wakes up in the middle of the night/early morning and just wants to be awake. I decided if she ever woke up around 4am her and I would go get donuts. One morning she woke up at 3:45. After breastfeeding for a little while, she was wide awake. 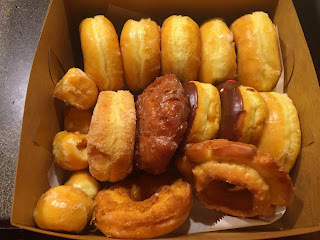 I told RJ I was going to get donuts, he sleeply said, “Ok, I want glazed.” I got dressed, packed Heather into the car and drove to the donut shop. It’s only about 20 minutes from our house, we got there about 10 minutes before they opened. When I pulled up, the lights in the front were still out, but the lights just behind the counter were on. There were racks and racks of perfect donuts perfectly lit up and glistening in the light waiting to be purchased. I could smell the delicious smell of fried dough (my mouth is watering). Promptly, just before 5am, an employee emerged from the back. They turned on the lights, and unlocked the door. There were one or two other people waiting with me in the parking lot. I was in no hurry. Heather had fallen asleep on the way there, she started to stir just a few minutes later. We walked inside. The employees were super nice and absolutely loved Heather. I don’t think I was the first parent to get donuts when their young baby that wouldn’t sleep. We ended up buying one dozen. I got six glazed (all for RJ), two chocolate iced, an apple fritter, an old fashioned, a sour cream, and a cinnamon sugar. They always throw a few donut holes on top too. On other occasions I have got their maple bacon donut which was super tasty. RJ didn’t care for it too much. He loves bacon but he’s not a huge fan of the whole salty sweet thing. I love pouring syrup on my bacon and sausage. RJ will get a new plate for his bacon or sausage if we had pancakes first. Magically I resisted eating any donuts before we got home. When we did get home it was around 5:30. Heather fell asleep in the car again and I managed to bring her inside without waking her. I ate a donut hole, it was very tasty. 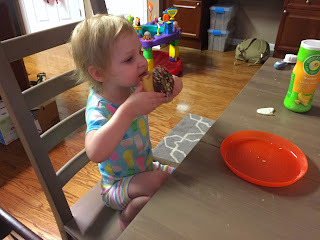 I was exhausted and thought I would wait for RJ to wake up before I enjoyed any actual donuts. I passed out on the couch. RJ woke me up when he came down to eat breakfast. We enjoyed very delicious donuts and coffee together. Between the two of us we ate the entire dozen by the end of the day. They were all amazing and make a good substitute for Lehi bakery. 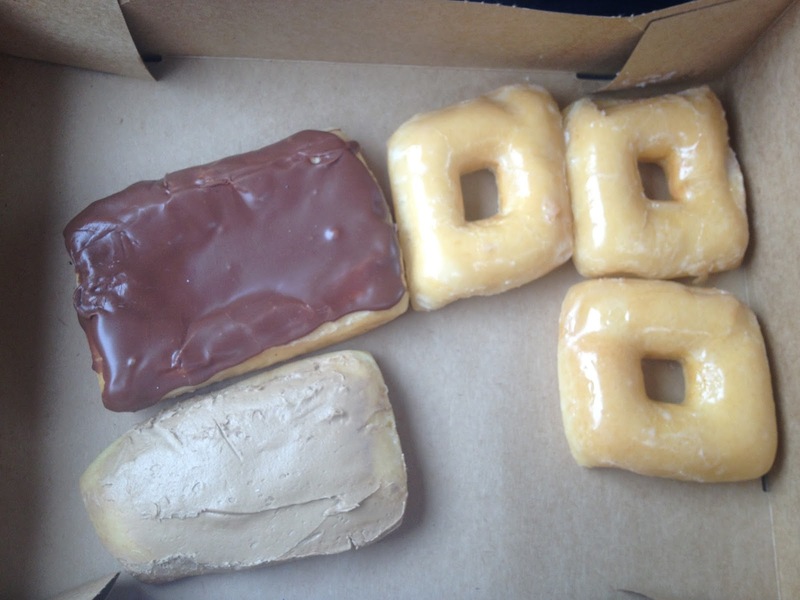 If you ever find yourself in Lehi and you don’t eat an extra square donut for me I will be pissed. And if you are ever in Georgia and don’t stop by Ray’s donuts you’re missing out. I just might have to go get some myself if Heater doesn't sleep. Thanks for reading!